The annual Inter-Hall Games, which typically lasts from December to February, has seen a fall in students signing up to participate. When the semester came to an end last November, Hall of Residence 4 resident He Chiqi, 23, was looking forward to go on a holiday in Taiwan with her family. However, the third-year School of Chemical and Biomedical Engineering student had to postpone her plan. This was because she found herself being roped into two Inter-Hall Games (IHG) sports teams — hockey and softball — about two weeks before the matches began. There were not enough players who had signed up, and the team captains had asked He — who had little prior experience in the sports — to come onboard so the games would not result in walkovers. He’s hall is just one of the many that have had to scramble at the last minute to find sufficient players to make up a sports team, due to the lack of willing participants. This recurring issue has worsened in the past two years due to the guaranteed two-year hall stay, according to sports secretaries and team captains. Hall 14’s sports secretary Keith Chia, 22, observed that the participation in hall activities, including sports, has “decreased significantly” since NTU freshmen were given the guaranteed two-year hall stay from 2017. Hall 4’s hockey captain Ng Yan Shan, 22, agreed that this was a contributing factor. “Now with the guaranteed hall stay, people are not participating in activities to have more time for their studies,” said Ng, who added that forming a full hockey team has been challenging. “Some people consider hockey a dangerous sport and they are afraid of getting injured. It can be quite hard to find willing players,” said the second-year School of Humanities student. According to the sports secretaries and team captains the Nanyang Chronicle spoke to, this shortage is particularly acute for certain sports, or in non-sports halls. 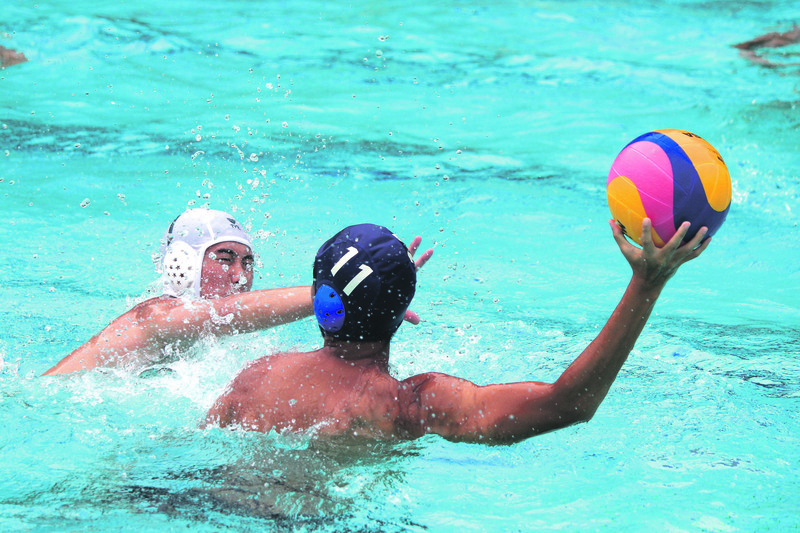 Chia, a second-year School of Materials Science and Engineering student, said that niche sports like water polo, squash and sepak takraw are lesser known and hence have fewer people signing up. He counts the hall lucky that it has three players with experience in these sports this year, so that they can coach other students. “In the past we have had no participation in these sports until the day of the competition,” he added. Former sports secretary of Hall 8 Png Jing Wen, 20, believes that halls which are not considered to be sports-centric — like her own — have it tougher as well. “Being a ‘non-sports’ hall, the general strength and interest in sports can be quite uncertain. Residents require more encouragement before they join trainings and play for IHG,” said Png, a second-year Sport Science and Management student. To make up for the lack of participants, most halls have to come up with short-term solutions, like asking JCRC members to fill up the teams. But it is not easy to play for so many sports. Chia and the hall’s other JCRC members have also tried many ways to encourage residents to participate in the IHG, like personally contacting them to encourage them to sign up and promoting the sports more aggressively on social media. In order to create more exposure for her sport, Hall 4’s hockey captain Ng has also held several tryouts. “We want to let residents understand the equipment and rules. We also encourage players to bring their friends who might be interested along to training sessions,” she said. However, Ng said she hopes more can be done to help alleviate the problem of low participation, such as releasing the IHG schedule earlier so residents can plan their holidays around it, and fielding fewer players. “(This) could also help ensure all halls get to compete without worrying about a walkover,” she said. Others hope to build a stronger sports culture across all the halls and increase publicity for the IHG. “Perhaps abolishing the guaranteed hall stay could help bring the culture back,” the final-year School of Art, Design and Media student added. Hall 14’s sports secretary Chia added that NTU can also help to publicise major hall activities like the IHG to garner more awareness of and interest in the games, which he feels is a good way to forge bonds among students. “Hall sports, as compared to the Institute-Varsity-Polytechnic Games or Singapore University Games, is an easier and friendlier competition ground,” he said. “It's one of the best platforms to encourage interaction and friendships between halls,” he added.